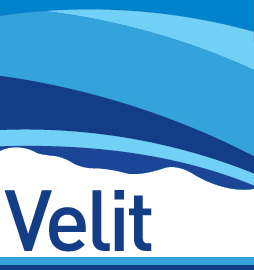 Velit employs numerical optimisation to determine the best parameters for velocity functions from well, seismic velocity and apparent interval velocity. 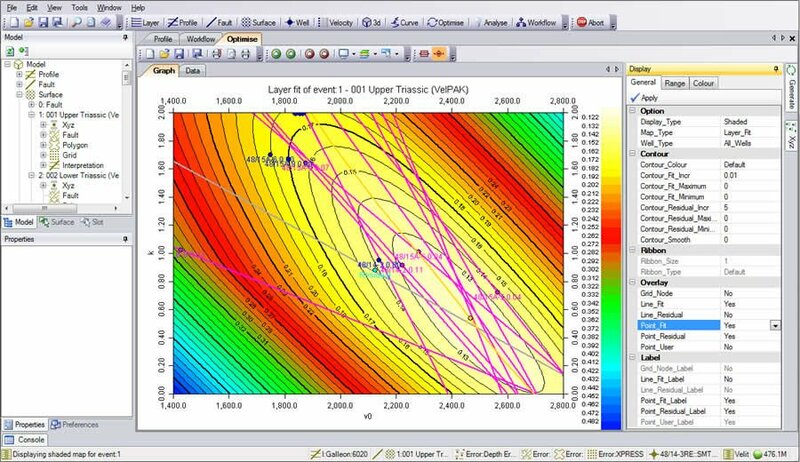 Both linear and non-linear functions are supported. This robust technique maximises the value of the data you have loaded into the model. Optimisation can fix one value and then map the other. 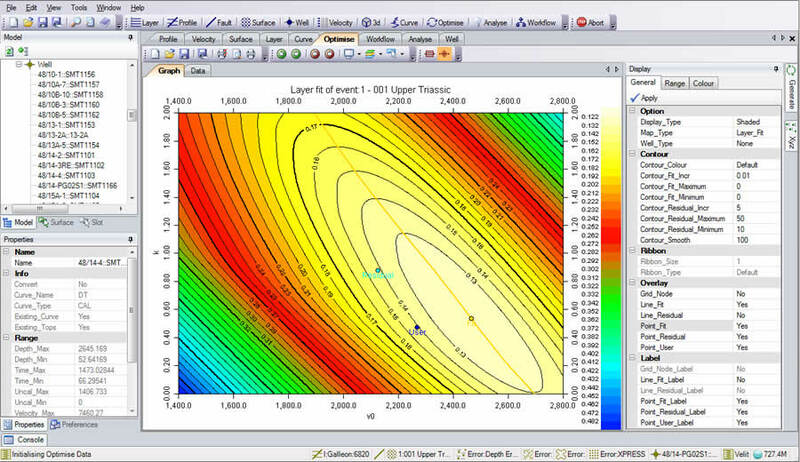 For example, the optimisation results for the function V = V0 + kZ could be used fix k to the optimal constant value for the layer and compute the corresponding V0 map, bringing spatial variation into the model. 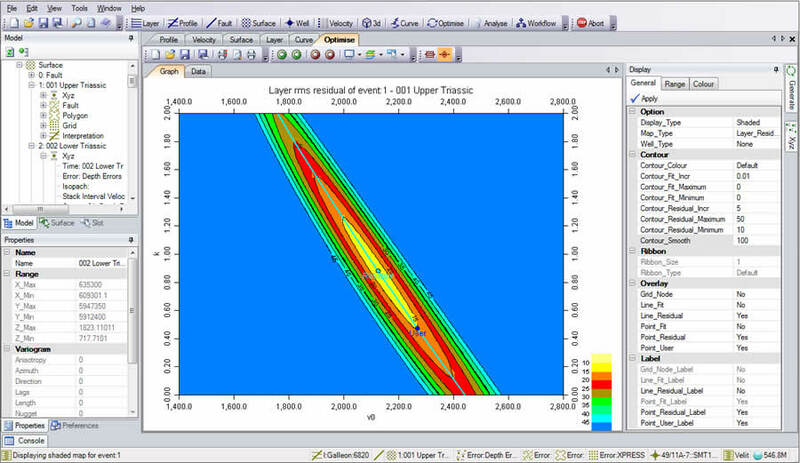 Using optimisation for parameters lends itself particularly well to stochastic simulation.